Come experience Single Family Living with all of the Maintenance Free advantages of a condo in this stunning LIKE NEW ST. GEORGE model at Devonshire Place! on the Pond Front. 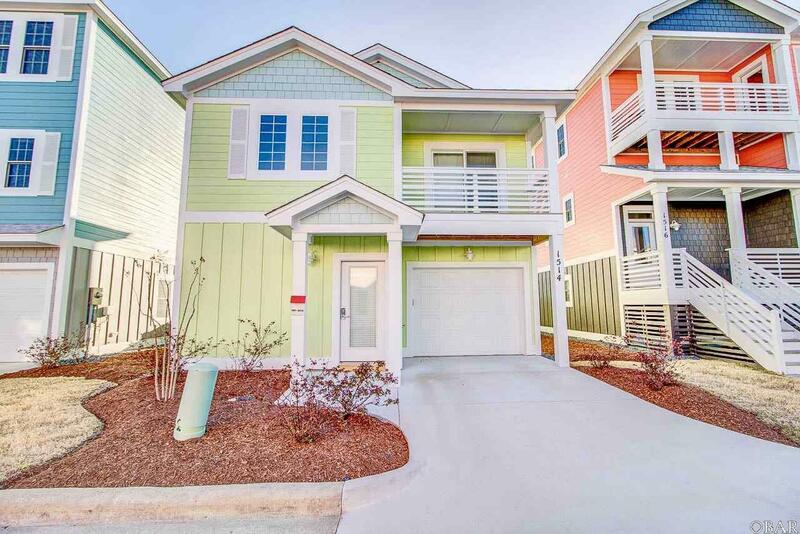 Offering Ground Floor Living, This 'SMART HOME' (Lutron Smart Home Package Included) has no steps to climb to enter the open concept Kitchen/Living/Dining Area on the Ground level complete with 1/2 Bath and 1 Car Garage/Dry Entry! The Garage comes finished...dry-walled and painted. 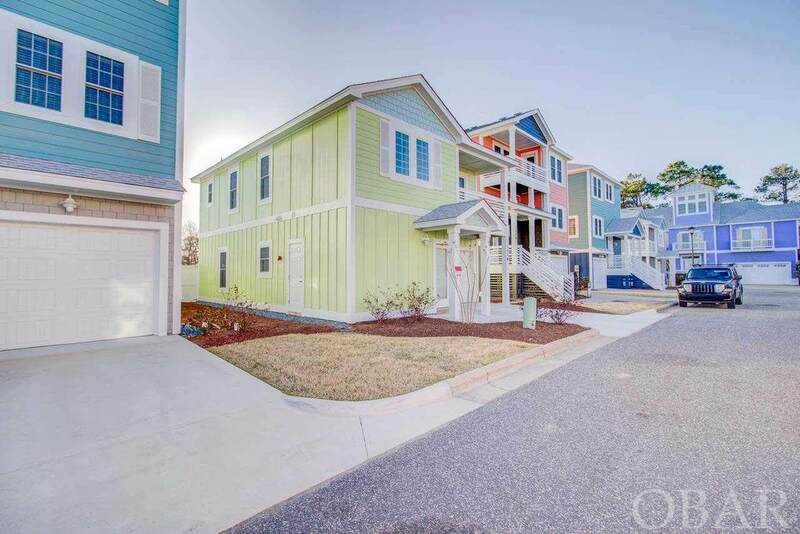 The 2nd Floor features 3 Bedrooms including a Spacious Master Suite with Private Bath and Custom Tiled Shower, Double Sink Vanity, Walk-In Closet, and a Private 56 sq. ft. Deck. Comes Fully FURNISHED by EXOTIC HOME with BLINDS PACKAGE INCLUDED! FREE SINGLE est KEES Vacation Rental Projection of $33,567+...see Associated Docs! HOA fees cover Flood, Wind and Hazard Insurance on the buildings and exterior maintenance from roof, painting, windows, doors, decking, fencing, termite treatment, and lawn care!! (Homeowner only responsible to maintain yard inside back fenced in area and interior contents.). Compare the HOA dues to the insurance and pool expenses on other SF homes in the area...this is a great deal!! 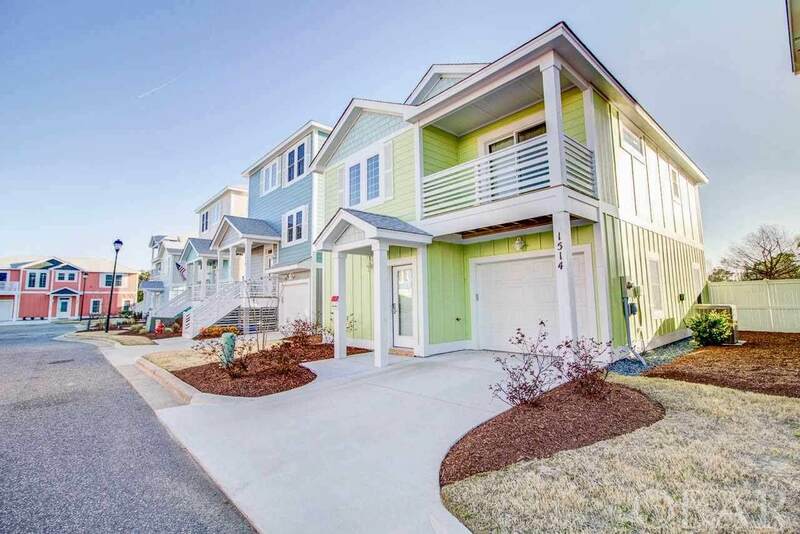 This 3 bedrooms, 2 Full and 1 Half Bath Detached Condominium features high end finishes and the highest quality construction methods and materials by Outer Banks Renovation & Construction, LLC AND A 10 YR BONDED BUILDERS WARRANTY! The kitchen is beautifully designed with custom solid wood Wolf Cabinetry with self close finishes, Subway Tiled Backsplash, Kohler faucets (a total Kohler Home! ), Stainless Steel Whirlpool Gold appliances, Super Durable Karndean Luxury Vinyl Tile flooring in the Van Gogh Collection, and Granite counter tops in the Kitchen. The top floor is built for comfort with Shaw Clear Touch Polyester Loop carpet, 2 Full Bathrooms again with solid wood soft-close Wolf Cabinetry, Granite Counters, and Kohler fixtures. All 3 Bedrooms include walk-in closets...plenty of storage! Other features include 2x6 Construction, Fiber Cement Siding, All Impact Resistant Simonton Windows and Doors, Fire Suppression System, Owens Corning Duration Lifetime Shingles, 128 sq. ft. Concrete Patio in Back yard, and More! Devonshire Place is centrally located in Kill Devil Hills in the revitalized community of Bermuda Bay. Enjoy a stroll or bike ride to the Wright Brothers Memorial, area shopping, schools, beaches and restaurants or join your neighbors for socializing at the Clubhouse, where residents and their guests can relax under sun-shaded fabric cabanas or take a dip in the meandering pool. In addition to the Clubhouse and custom Outdoor Community Pool, the association amenities also include a Fitness Center with tons of equipment and several TV's. This is a fantastic opportunity to own an easy to maintain, Practically BRAND NEW primary, 2nd home or investment property! 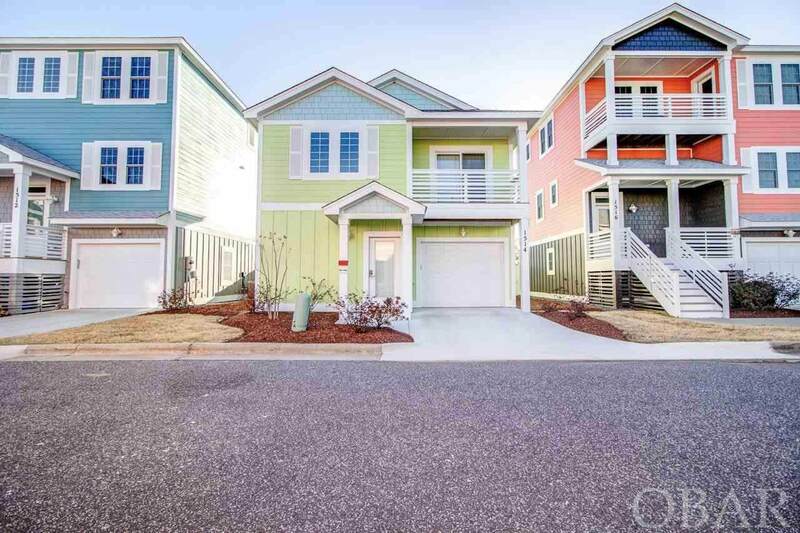 Listing courtesy of Jeff Kluger of Coldwell Banker Seaside Realty. Association Amenities ClubhouseHealth ClubOutdoor-Comm. PoolCommon Area Association Fee Includes Common ElectricCommon InsuranceFlood InsuranceGrounds MaintenanceManagementPoolRoad Maintenance Association Fee YN Yes Bank Owned YN No Builder Florida Obx Estimated Annual Fee 5645 Financing Options CashConventional Flood Zone Ae Possession At Closing Potential Short Sale No Primary Residence YN No Residential Type Condo Sewer Septic Municipal Sewer Tax Year 2017 Taxes 120 Water Municipal Zoning Res.